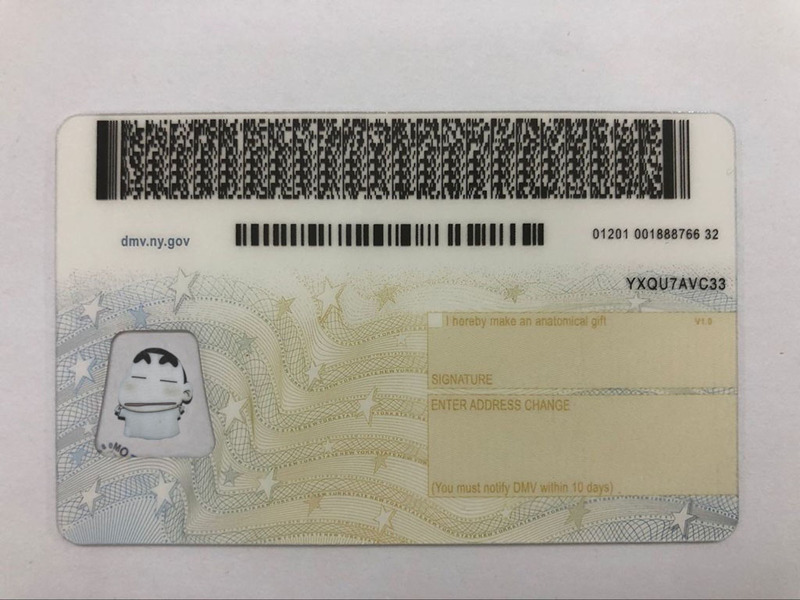 Printing Material: The ID card comes printed on an improved version of Polycarbonate material to make sure that it will bend like a real id when twisted by Bouncers at bars or clubs. Validity: The validation period gives you two options to select a 5 or 6 years duration. 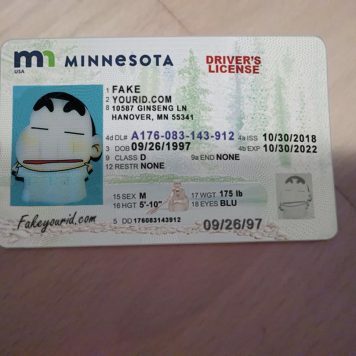 Template in use: We don’t doubt that many other fake id websites are advertising and making this particular card, But most fail even to clone the template itself let alone passing a scanning device. We craft the template from scratch making sure we do not miss a minute security feature. The sound of the card, when dropped at the floor, should resemble that of a CD or a metallic object. The material that we use will replicate this unique feature. The photo on the front of the cardholder is laser-engraved. 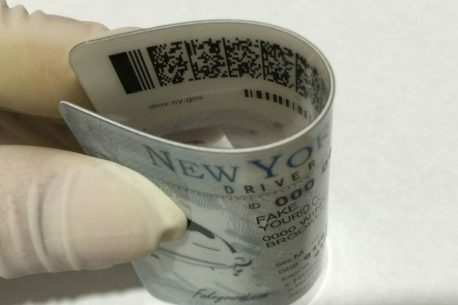 We use Tactile printing technique to print license specifications such as the ID Number, birth, and expiry dates along with the signature. 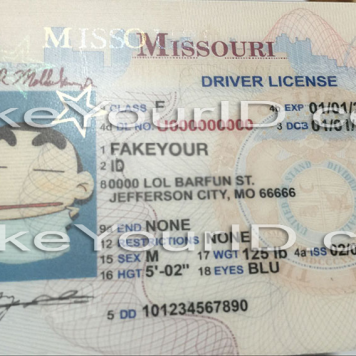 The top right and left edges of the card comes with rainbow styled printing. 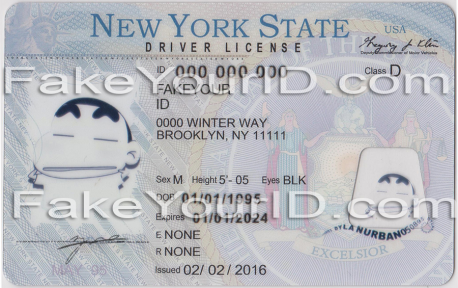 A window on the right bottom has a laser-engraved ghost image of the license holder. A wavy pattern comprising of the name of the cardholder is visible below the duplicate ghost photo on the lower right. 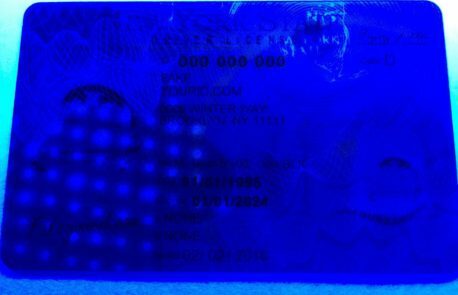 The text “NY” is printed in UV Ink repeating, the map and pattern of lines are in UV and visible only under ultraviolet light. The back comes with Scannable one and two-dimensional barcodes passing the necessary license credentials to the scanning and reading devices. You wouldn’t want to miss the famous New York state nightlife just because you are under 21. Be it a lounge bar, cocktails, martinis, or dancing the nights away. The state where people never sleep so where would you want to spend that particular weekend? We know that you are eyeing the best beer lists and liquor parties. Out of each ten orders that we receive are for this state. 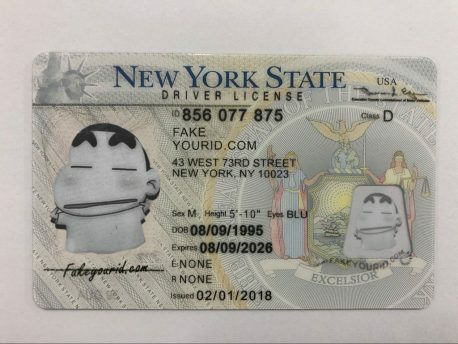 That means we make most of our total counterfeit ids for this state. 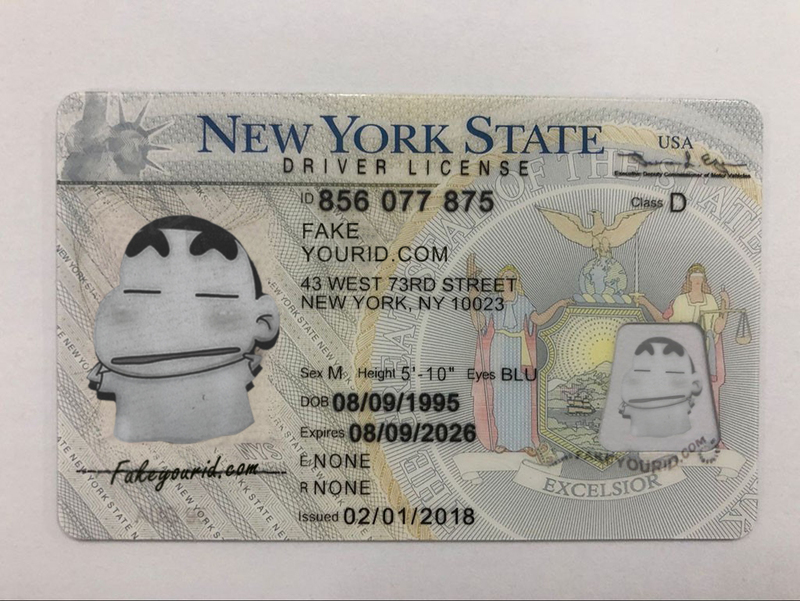 Buying a fake license that does not bend is just as you are purchasing a flashlight with no batteries. 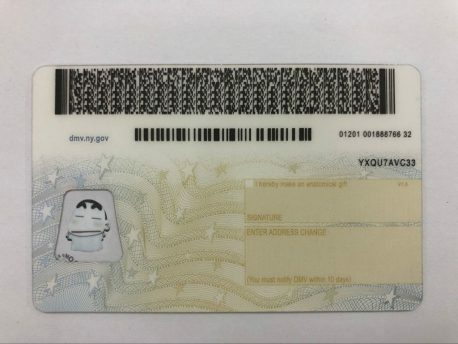 The first test a bouncer applies which comes in physical terms is that of twisting your id card to ensure it does not leave a crisp or crease in the material. 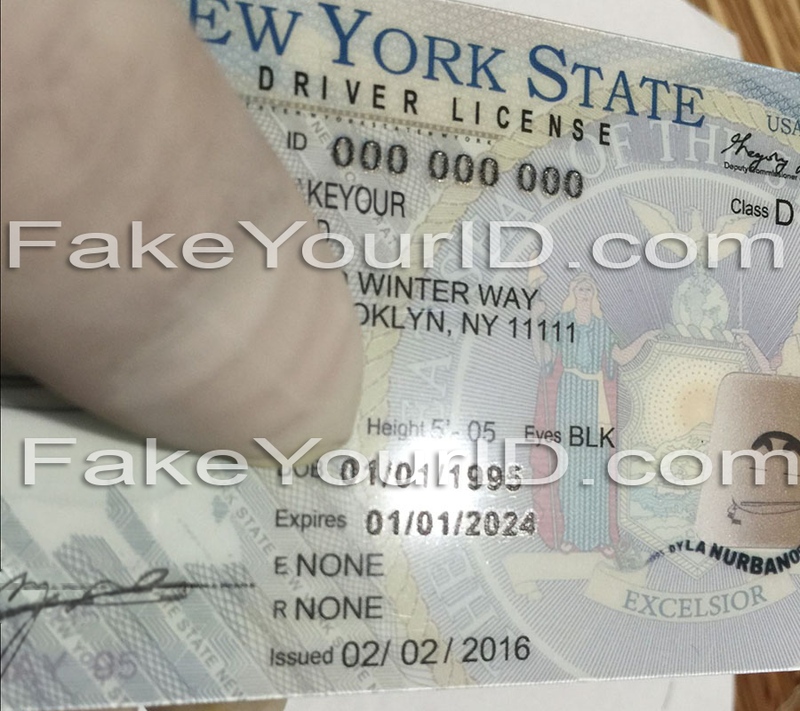 You can see in our dummy New York sample above that it flawlessly passes that test. 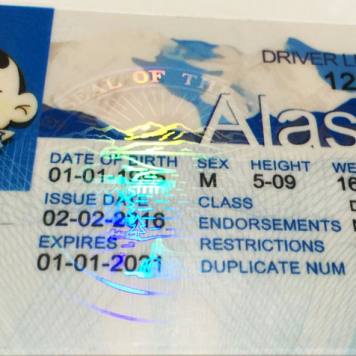 It makes our id card discernible from the rest, the effort and skill required to replicate a precise forged license are apparent when you hold our id card in your hands. The Scanning success of our New York fake id depends on a number of factors.